Information Technology is very important for small business. A new laptop for a small or home office (SOHO) business can be a big investment. 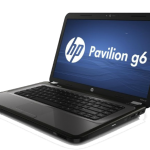 This blogpost will outline how I set up my new HP Pavilion g6 laptop. I was up and running within a few hours but it has taken some time to get used to Windows 8 (and I have now downloaded Windows 8.1). – My first laptop is running for almost 3.5 years and I have no complaints. – I am used to the way HP works. I particularly like the way it does the Updates for software and maintains the laptop (maybe other laptops do it the same way). The plan is to use both laptops on a complimentary basis – by the way both laptops use the same power lead connector which is convenient. I now leave the old one in the home office permanently and use the new one when traveling. My two primary email accounts are set up in Outlook and Thunderbird on the old laptop as is my Cert for Revenue Online. It is just easier if I don’t have to move these. iTunes will also stay on my old laptop. Installed Microsoft Office so have Word, Excel and Powerpoint. This is a brilliant feature which means that I have a master password on Firefox. All of my passwords are remembered by Firefox and synced between both PCs. I also use Chrome and I synced those as well – very handy as syncs with iPad also (for some reason Firefox is not on iPad which is a pity). Syncing both of these took minutes which contrasts with Microsoft Skydrive which I also tried to sync – there was a month delay for some reason with their Trust this PC service. Dropbox is brilliant. I downloaded to my new laptop and all files are synced between them, my iPad and my Android Phone. I don’t save any files locally on either laptop now as Dropbox is an automatic backup. I have tried Skydrive but I think it is very slow in syncing files (apparently fixed in Windows 8.1). I have also tried Box and I do like it. I also use Google Drive for some files … I use Google forms and also save files in the drive that I put on Google sites. But Dropbox is my favourite. super programme that allows you to save files as pdf … it works by printing as a Pdf … from any application to include Browsers, Word, Powerpoint and Excel. I also use Pdfjoin.com for joining Pdfs and it is very handy. There is a Pdf reader installed by default by HP but not as good as Adobe Reader. This was needed so that Videos would play automatically from within Powerpoint. Still have not solved issue of merging existing Skype account with my Microsoft Live Messaging account … and not going to bother with it now. Just have to connect the USB cable and it installed my Dell printer automatically as expected. Set up my email account on Outlook … plus added Powerpoint, Excel and MS Word. I was not a major fan of Windows 8 but it is growing on me particularly now that I have downloaded Windows 8.1, It is a major change from Windows 7. I really like the Google Chrome Store. Apps are well accepted given the success of the iPad and I think they also work with a Desktop environment. With Windows 8, Microsoft have added a Store and Windows 8.1 apparently sees big improvements to the apps. I downloaded Facebook, Twitter, Gmail Calendar, Irish Times, Dropbox, YouTube, a Broadband Speed Test app, a Calculator and a Photo Editor for starters. HP have a new Media Player that includes a feature to create Videos of Photos and to edit Photos. But, I don’t want to learn a new system. So I downloaded Windows Live Movie Maker which works just great with the speedy processor. Maybe when I have time I will look at the new HP programme properly. I also downloaded a presentations app from the Microsoft Store called Presentation Next – I tried out Prezi recently and it is cool. Before I looked at Presentation Next I decided that my big needs were as follows: that files can be printed as a pdf; that there was a handout feature like Powerpoint; and that it be easy to figure out how to use it and that it offers great design. Unfortunately, while the App promised an easy to learn and use solution, I could not figure it out. There did not seem to be a User Guide as they seemed to feel that one was not necessary. My view on the Store is that some of the Applications will work great, some won’t but it is easy enough to un-install them. 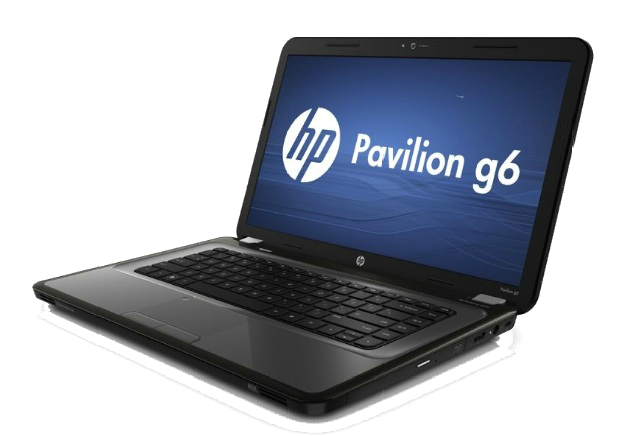 I would recommend the HP Pavilion g6 to other small business promoters and their teams. I would also suggest that Windows 8.1 be embraced as it is the future for Microsoft. I hope that you found this blogpost useful. Please feel free to comment particularly if you know of any other tools that a small business owner can avail of to improve their productivity. Thznks for sharing. What was the final cost Donncha including sw? Any opinion on windows 8 rent or buy? Eoin, good to hear from you, the laptop was a great deal. Original price was €700 and PC World were selling them for €479 including VAT. I could not believe the price and I doubt it will be repeated. Windows 8 came with laptop and windows 8.1 was also free to download. So I presume you are asking about Office to buy or rent. Windows Office is expensive (circa €250 if I remember correctly). I did consider Office 365 which is about €150 a year for 5 PCs but I already had a copy on my other PC. If I was starting again I would probably rent and I think some mobile providers are offering it in a bundle with broadband and email so worth checking that out.